Microsoft regularly releases major updates to their Windows operating systems. Traditionally those updates are service packs, but more often these days, they're semi-regular and significant updates via Windows Update. In fact, in Windows 10 and Windows 8, the service pack, as we know it from previous versions of Windows, is essentially a dead idea. Much like updates on your smartphone, Microsoft is continually adding major features via automatic patching. 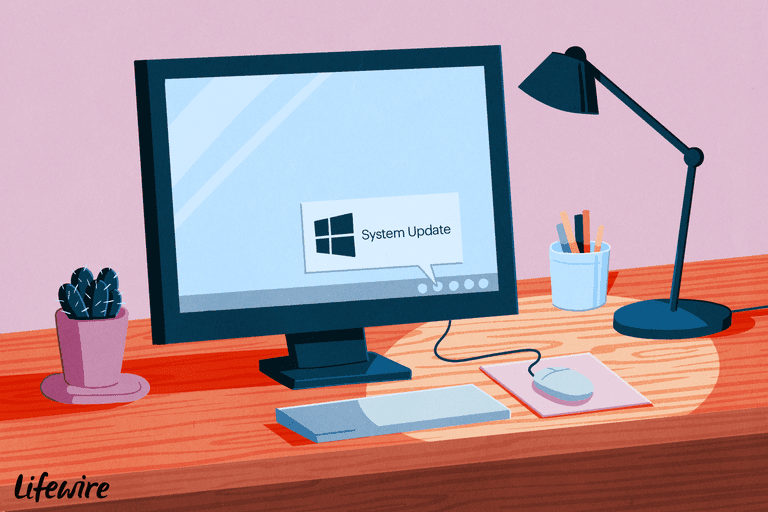 Below you'll find all the latest information on both service packs and these other major updates that Microsoft is regularly pushing to its users. As of April 2019, the last major update to Windows 10 is Windows 10 Version 1809, code-named Redstone 5. This update began rolling out on November 13, 2018. Updating is completely automatic via Windows Update. You can read more about the individual fixes and improvements on Microsoft's What's New in Windows 10 Version 1809. If you've already updated to Windows 8.1, the easiest way to update to Windows 8.1 Update is via Windows Update. See instructions for manually installing Windows 8.1 Update in the Download Windows 8.1 Update section of our Windows 8.1 Update Facts piece. If you are not already running Windows 8.1, see How to Update to Windows 8.1 for detailed instructions on applying the Windows 8.1 update. When that's done, update to Windows 8.1 Update via Windows Update. Microsoft is not planning another big update to Windows 8, like a Windows 8.2 or Windows 8.1 Update 2. New features, if available, will instead be pushed via updates on Patch Tuesday. The most recent Windows 7 service pack is SP1, but a Convenience Rollup for Windows 7 SP1 (basically an otherwise-named Windows 7 SP2) is also available which installs all patches between the release of SP1 (February 22, 2011) through April 12, 2016. The latest service packs for other versions of Microsoft Windows include Windows Vista SP2, Windows XP SP3, and Windows 2000 SP4. In the table below are links that take you directly to the latest Microsoft Windows service packs and major updates for each operating system. These updates are free. Please note that for most of you, the easiest way to install the latest Windows service pack or update is to run Windows Update. Beginning in Windows 8, Microsoft began releasing regular, major updates to Windows 8. Service packs will not be released. Windows 7 SP1 and the April 2015 Servicing Stack Update both must be installed prior to installing the Convenience Rollup. Windows Vista SP2 can only be installed if you already have Windows Vista SP1 installed, which you can download here for 32-bit versions, and here for 64-bit ones. Windows XP SP3 can only be installed if you already have Windows XP SP1a or Windows XP SP2 installed. If you do not have one or the other of those service packs installed, install SP1, available here, before trying to install Windows XP SP3. Windows XP Professional is the only 64-bit version of Windows XP and the latest service pack released for the operating system is SP2.